In theses days companies need to do a lot in order to become and keep being the employer of choice. The war for talent asks for a lot of creativity with regard to employee benefits, but pure monetary benefits are desired less and less. Modern employees are used to a wider spread of amenities. A lot can be done in order to keep the employee dedicated to the company: paid time off, sabbaticals, flexible working hours, home office, child care, elderly care or even pet care, advanced training and additional education, subsidized master or PhD studies at well-known universities, hip work spaces, free delicious and diversified canteen food, laundry services, free entrance to gyms, swimming pools and / or spas nearby and so on. We can go on for ever with this list. There is no limit whatsoever. Part of the company’s employee benefits list should be focusing the health and vitality of the workforce. This is not only due to the social responsibility an employer needs to take, it is also part of the long-term retention and vitality strategy of a company. Keeping successful employees as long as possible with the company only makes sense, if these employees are healthy and able to perform. So employers don’t only do their employees a favor but also themselves! There is a great awareness for healthy living among many people these days. Medical research and the pharmaceutical industry are advanced. Almost everything can be explored and – even more important – results are communicated broadly. We know what our comfortable way of living does to our bodies. We understand that stress is finally shown by physical symptoms and we get that only physical exercise and healthy eating will be the way to become old without the typical wealth afflictions like cardio-vascular diseases, arteriosclerosis, hypertension and diabetes. So many people focus a healthy way of living for themselves and their families. Others know they should, but are not strong and motivated enough to do so. Only a very few number of people does not really care yet. As long as an employee wanting to make a change in lifestyle does not feel secure, understood and supported, no health and vitality offering in the world will make him/her succeed. 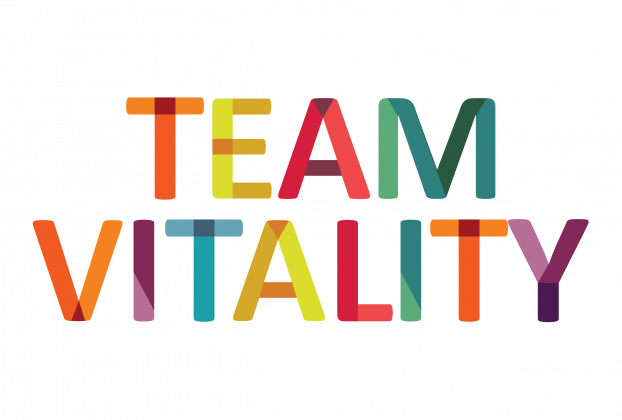 So employee vitality starts with being a happy and valued team member. The culture of the company as well as the colleagues need to be supportive and understanding. This can be influenced and encouraged by the management team, but it also takes some time and a lot of initiative of the team members themselves. It is very helpful to have some employees among every team that are sportive or pretty focused on a healthy lifestyle. Also some team habits can be developed that make it easier for everyone to get started. EclectiC introduced the after-lunch walk many years ago. Whenever time and weather allow, the team goes for a walk after having had lunch together. This motivates everyone to get some physical exercise, but it also stimulates the team members to have conversations outside the work space which lets them connect on a different level. Some of the team members add another level to it by consciously not taking the elevator but walking the stairs up to and down from the the fifth level. Often the group splits into the faster and the slower walkers, which gives everyone the chance to participate in the walk, even if not well trained. Fresh air, different conversational topics and a bit of distraction lets everyone return to their desks re-energized. Even little things can make a start into a healthy and vital life for everyone. Companies do good to make sure that their workforce is healthy and vital. And there are even a lot of gadgets that can help nowadays. Smart sports watches, exercise apps, online vitality communities and much more. Every day something new is invented. The market is booming. So take the chance, make use of it and support your employees. You could even set-up little internal competitions if you have teams with a competitive mindset. Healthy people are happy people – happy people perform better!